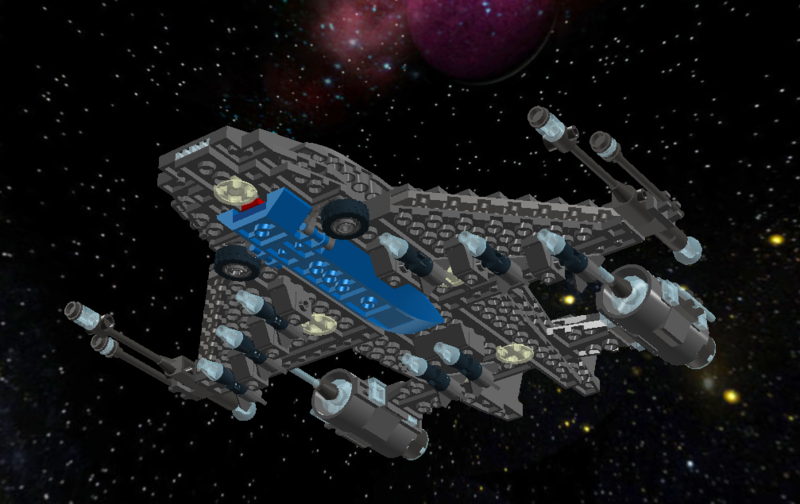 The Interceptor variant of the Star Hawk is armed with an additional light phaser cannons, a torpedo launcher, and has clamps integrated into its wings for carrying rockets. It is protected by slightly stronger shielding and its engines are tuned to put out more power for faster speeds. 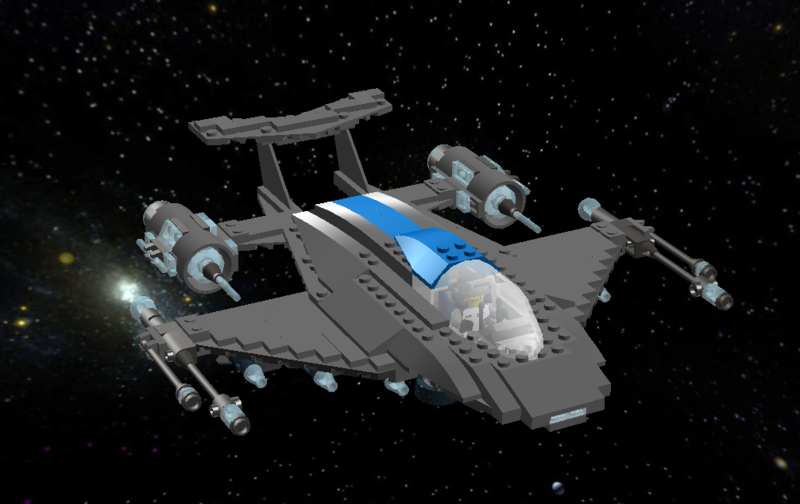 It is also a bit more aerodynamic than the base Hawk when not armed with rockets. Top speed on the Interceptor is Warp 9. Wow, so cool! The new swept back rear looks great, and I definitely approve of the blue stripe! Just one thing is bugging me. If the fighter is supposed to be uber-streamlined (yes, I said "uber" ), shouldn't that blue stripe on the underside taper up to for the bottom half of the nose cone? It seems like it would produce drag in atmospheric conditions the way it is. Just sayin'. Other than that, it's an awesome machine! Good!!!! First off, let me say I am a fan of less weapon fighters... odd, but true. I like a nice clean look. This appears VERY powerful, but it has a lot of things hanging off of it. Next, I think the blue striping distracts from and is too easily confused with the nav-def. I suggest plain gray on the underside, and either a different blue, or perhaps yellow on the top stripe. Other than those suggestions/personal opinions, this is a VERY nice fighter! I'm personally more of a fan of the standard version, but regardless, this is one nice fighter.